This month’s post was written by our special guest blogger Crystal Arriaga. 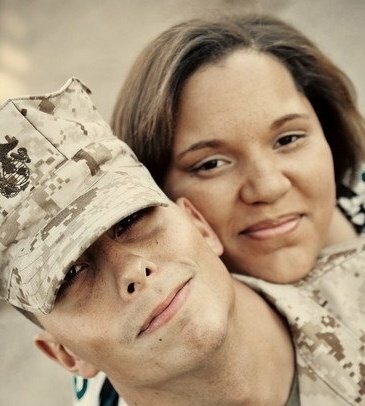 Crystal is a military spouse and mom, originally from Houston, Texas. After participating in FOCUS, Crystal’s family found new ways to understand each other and improve their family’s overall resilience! It’s so hard to believe that four years ago, when we first arrived at Camp Pendleton, my daughters were only 8 and 7 years old. We’re all originally from Houston, Texas and were transplanted to California a year after my husband, Anthony, and I were married - two months after my father’s passing and only a few days after my sister had a mastectomy to deal with her stage two breast cancer. My husband was the only one of us who’d ever been out of our state, so naturally the rest of us were cautiously optimistic. Not long after we settled in, Anthony went on a MEU deployment for 6 months and during that time volunteered for another deployment to Afghanistan. When he returned after the MEU, he wasn’t here long. He was in Afghanistan for only a few months before he was severely injured and subsequently paralyzed below the knee. I’ve always been the resourceful and actively involved wife, but after his injury, I was not prepared for the ‘wounded warrior caregiver’ lifestyle. Thankfully, we heard about the FOCUS program at one of his countless medical appointments. We really didn’t know what to expect because therapy isn’t a major source of stress relief or a way to understand life where we come from. Quite honestly, the FOCUS program showed us a better way to understand each other and thrive in this lifestyle with each other as teammates instead of just a family drowning in stress. We were given the tools to see events from our children’s perspectives, how to use the Feeling Thermometer so we don’t let feelings fester and boil over, how to relate more kindly to each other, and to bond more as a family. This injury has affected our lives forever. Although we all supported our Marine before his deployments, we’ve had to really understand the meaning of team effort and cooperation after his injury. We realized how precious life is and have found a whole new sense of respect, humility and a gentle kind of caring relationship that I thought only existed in the girly movies. Since being involved with FOCUS, we’ve seen several FOCUS presentations at seminars and events to spread their mission. Our FOCUS trainer, Sheri Dillon, inspired me so much so that I wrote a children’s book called PTSD & Daddy. I never realized before her words of wisdom just how overlooked and sheltered children are when they sometimes really just want an explanation of things on their level so they do not think terrible thoughts. Stress doesn’t go away. In fact, we actually had even more stress than when we first went to the FOCUS office, but Sheri checks in on us occasionally and we have the option to go back for ‘tune-ups’ if we wish. I know how to better communicate with my girls and that sometimes it’s okay to just breathe and not react. We’ve endured so much and I can now say that we consider ourselves the resourceful and resilient family who will be together through anything that life will throw at us. 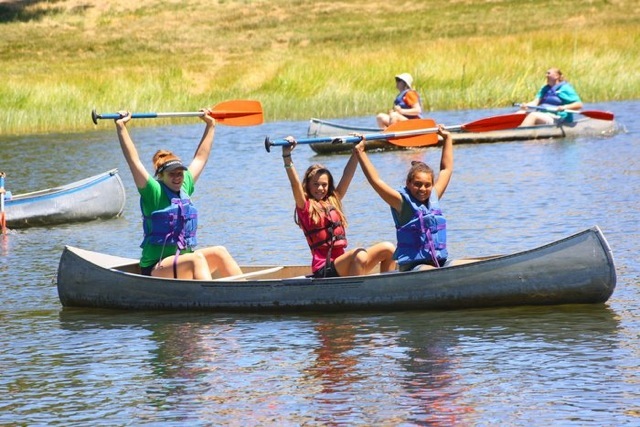 The girls have persevered and accomplished so much that they’re mentoring younger generations of wounded warrior kids at Camp COPE and helping with research studies to create a bright future for the current and future wounded warrior kids. If I could say one thing to a family struggling with any family issues or stress, I’d tell them to try the FOCUS program. I’d say it’s really hard to look at the other spouse’s perspective and listen before speaking, and FOCUS helps with this and so much more. Lastly, I’d say to go in with an open mind and heart to change not only your spouse or the situations that are bugging you, but also to earnestly listen to improve your family overall.